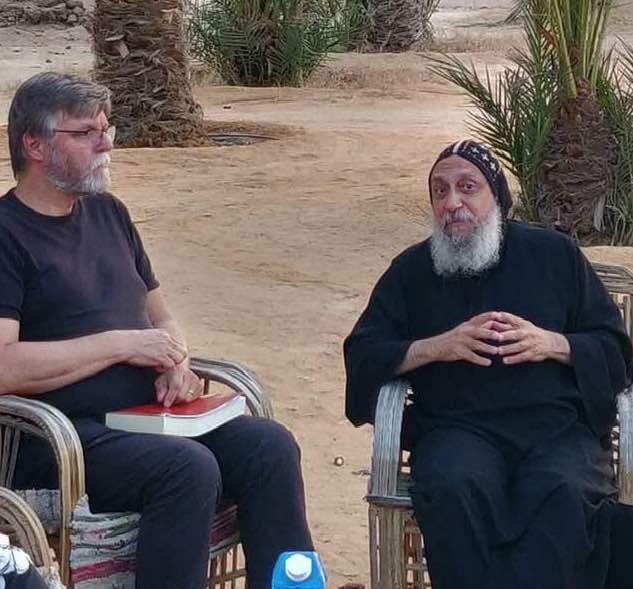 We enjoyed a great Egypt Desert retreat in October 2018, and we aim for another retreat in a year’s time. Arrival date in Anafora: 19 October 2019. End of the program: Friday 25 October 2019, ca. 1pm. The retreat will be RADICAL… we will live the life of an Egyptian monk for a week. All the prayers! Starting 6am every morning, and then throughout the day. This will be hard – a meeting with God, and be prepared, also with yourself. In between, we will visit some monasteries in Wadi Natrun. And you might even have a swim in Anafora… And the food in Anafora is great. Of course, we fast with the Coptic Church, but that will be a feast, I promise. Though your spend many hours in prayers and readings of Holy Scriptures, as the monks have done for 17 centuries, we will also have plenty of time to interact with each other, to enjoy, to exchange experiences and ideas. But I warn you: you must have guts… to meet with God and with yourself in the many hours of silence with Him. So… reserve your place soon. The first people have signed up as our retreat in 2018 was truly a wonderful time. Make sure that you have your place in this retreat by your downpayment of €100 before 31 August 2019. Six nights in Anafora, including three meals per day. Your ticket to and from Egypt. You can handle this by yourself. If you spend more nights in Anafora that the six nights that are part of our program, you pay 40 euros per night extra. If you want to more information or if you want to register, contact me as soon as possible.